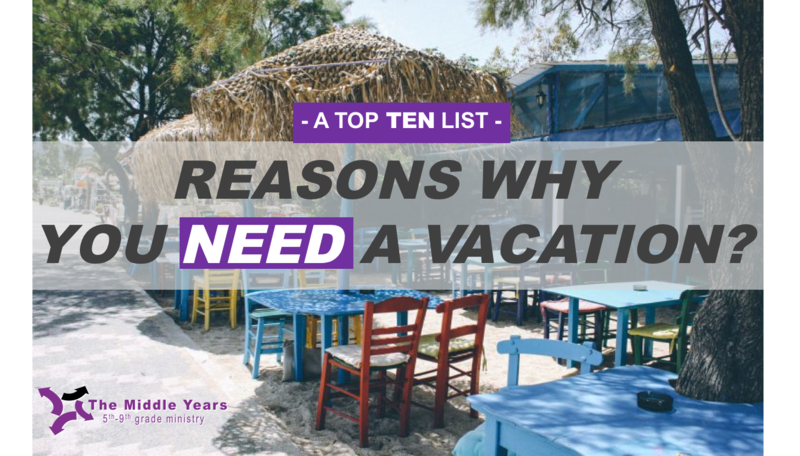 The Middle Years : Top 10: Reasons You NEED a Vacation? Top 10: Reasons You NEED a Vacation? THIS WEEK I AM TAKING MY SUMMER WEEK OFF WITH MY FAMILY. A REFRESHING TIME TO RESET MY BRAIN BEFORE HEADING INTO A NEW YOUTH GROUP YEAR. 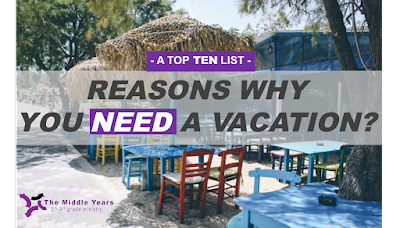 HERE ARE A FEW REASONS WHY YOU MIGHT NEED A VACATION TOO! CHECK BACK NEXT WEEK FOR NEW MIDDLE YEARS CONTENT AND FUN!